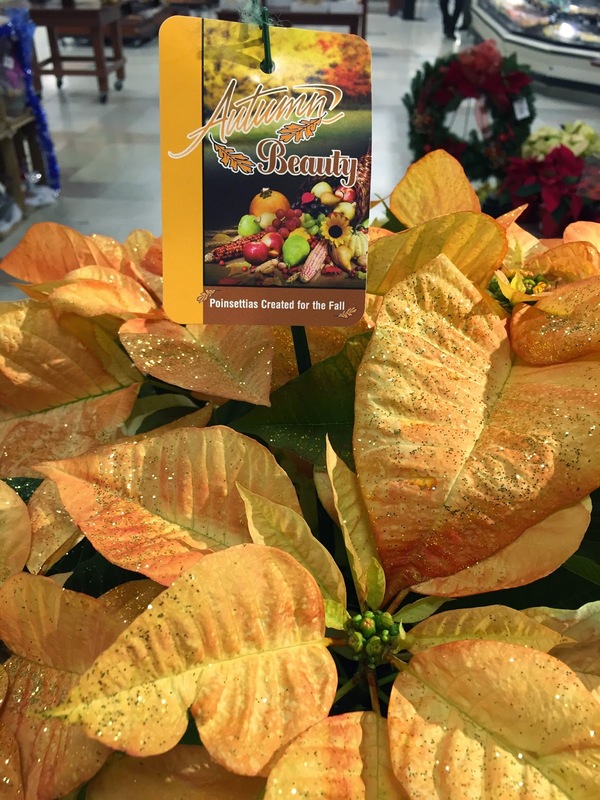 The Society for the Promotion of Mums as the Quintessential Fall Flower* would like to lodge an official protest regarding the disfiguration of poinsettias to modify their colors to allow them to be sold in the fall as an alternative to mums, which are the quintessential fall flower. 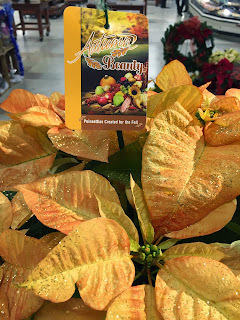 The Society is concerned that allowing this practice of coloring poinsettias in shades of Autumn will no doubt lead to Santa Claus himself putting on a pilgrim's costume and hitching up a sleigh pulled by turkeys. Furthermore, The Society disapproves of the use of glitter on all flowers. Please join The Society in saying "no thank you" to fall-colored poinsettias by purchasing mums or other fall flowers for Thanksgiving. By comment below, you indicate your support of The Society. *You know there really is no Society, right. I made it up. Just for fun. Though, I still don't care for fall poinsettias. EEEEWWwwwe. I don't like that either. I'm in! No mutilated plants of any kind. I agree, I like flowers to be untouched by dyes and glitter. There's always beauty in it's natural form.